While Jesus doesn’t give us a four-step approach to sharing the gospel, he did have a program for evangelism, one that far surpasses the methods listed above. What is his evangelistic program? In a word, it is the church! While churches have looked externally for better methods, they have forgotten that they are Christ’s method for evangelism. Under the influence of entertainers and business leaders, churches have too frequently forgotten their evangelistic identity. Instead of studying the drama of Scripture and all that the Bible says about the church, churches have gone elsewhere to get their lines. The result is a case of ecclesial amnesia that distorts the shape of the church, which in turn distorts the message of the gospel. Like a racehorse who has forgotten how to run, the church clops along with new ways to move forward, forgetting that in its genes lay the most powerful means of evangelism known to man. Indeed, it is the church as the church that is Christ’s evangelistic program. But what, I ask you, is the church? While many images could be recruited to describe the church (e.g., bride, body, temple, people of God, etc. ), let’s focus on how the gospel relates to the church. In gospel terms, the church is a people brought to life by the gospel of Jesus Christ, for the purpose of making the gospel audible and visible to the watching world. While the Scriptures speak of a cosmic new creation (see Revelation 21–22), the Bible also speaks of person new creations: “If anyone is in Christ, he is a new creation. The old has passed away; behold, the new has come” (2 Cor 5:17). In other words, what will take place in the future—the regeneration of the cosmos (Matt 19:28)—has already taken place in those who have been made alive in Christ (Eph 2:5). In this way, salvation is far less a reclamation process; it is a new creation. God, through the gospel, calls sinners to life and unites them into missionary outposts of the kingdom. 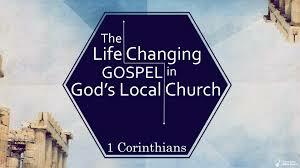 Not surprisingly, it is this community of living stones that is the ‘best advertisement campaign’ for the gospel. Whereas signs and wonders confirmed the authenticity of the apostles teaching in the first century (Heb 2:4), today it is the greater miracle of salvation that makes the world take notice. That is, when a church is filled with transformed people, the gospel of God is made visible. The world wonders at such new creations, what Ephesians 3:7–11 calls the wisdom of God. Truly, the church as an army of witnessing evangelists can and should trumpet the gospel. But much of our weakness in proclaiming the gospel lies in this: If we do not do well at displaying the gospel, who will listen to us when we declare the gospel? Indeed, for more than a century American evangelicals have reacted to the mainline denominations abandoning the gospel. In the twentieth century, fundamentalists separated themselves from the world and culture-confronting evangelicals turned aside from the institutional church to book publishers, radio ministries, and para-church organizations. Church was not canceled per se, but for many Bible-believing Christians, matters of church polity didn’t matter. The only thing that really mattered was saving the lost and preaching the gospel. But God’s wisdom is always proven by time, and when the American church stopped tending to its membership, discipline, and structure, weeds began to choke out wheat. In the absence of solid ecclesiology (what a church should be and do), pragmatism filled the void. Instead of planting churches with principles derived from the New Testament, any model of church structure could be employed, so long as the message on Sunday morning gave an altar call. 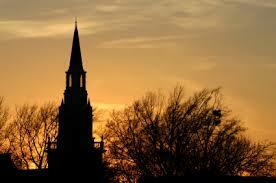 Unwittingly, the institutional church undermined the very message it was called to protect and preserve (1 Tim 3:15). Instead of making the gospel visible, the church neglected church discipline, embellished membership numbers, and employed Fortune 500 leadership models instead of those offered by Peter, Paul, and James. Evangelism became a task, instead of a way of life. The gospel became a sales pitch, instead of an invitation to taste and see the goodness of God. And over time, our neighbors became unimpressed with the church, because its message bore minimal impact its weekly attenders. Indeed, because the church paid little attention to its ecclesiology, the message they were assigned to carry lost its punch—not because the gospel wasn’t presented, but because the church, in its attempt to reach the culture, became too much like the culture. In short, weak ecclesiology bore bad fruit. We can keep coming up with new methods of evangelism every few years. Or we go back to Scripture and see what the Bible says about Jesus’s plan for the church. To do the former is easier, but also less fruitful; to do the latter is harder and even painful, but it promises greater effectiveness in the long run. For too long, American churches have relied on preachers and programs to make converts. Going forward, we must must give attention to what the gospel is and how we as a church are to display it—in our worship, our membership, our doctrine, our community, our mercy, and one hundred other ways. In the face of rising secularism, the light of the church needs to be brighter than ever. The declared gospel needs the displayed gospel to enable the lost and dying world to see what it is we are talking about. May God give us grace to not only call ourselves the church, but to be the church of Jesus Christ—the best evangelism ‘program’ ever invented. Great post! I am passing it along to some pastor friends. By the way, the possessive of Jesus is Jesus’ not Jesus’s. Just sayin’. Thanks, John. I have been working out this idea in a few newsletters at my church. I hope to put up a few more posts in the next few weeks. It feel’s really strange to write Jesus’s, but I noticed Crossway making that change earlier this year and I think it will become the new standard. Actually, I guess if SBL has changed it, it already is. Well, David, if it works for SBL and Crossway, then you have “all your bases covered”! LOL! That is a new one on this old dog. I go back to Turabian, bit now I guess I better get the new and improved that you have tipped me off to. Back to the meat of your post – I found many very quotable statements that I laid on my pastor friends, so they have their appetites whetted for the rest of it! Well done!